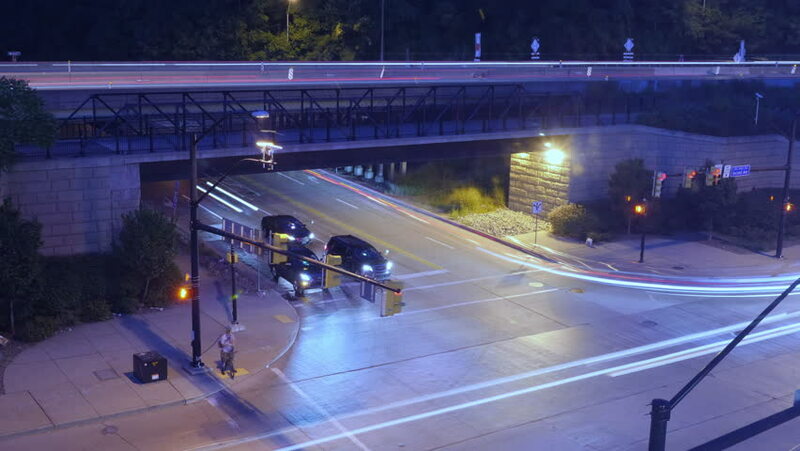 A high angle night time lapse view of traffic passing through an intersection in a large city. hd00:13Cars at night. Time lapse.